There's probably not a cooler band in America right now! 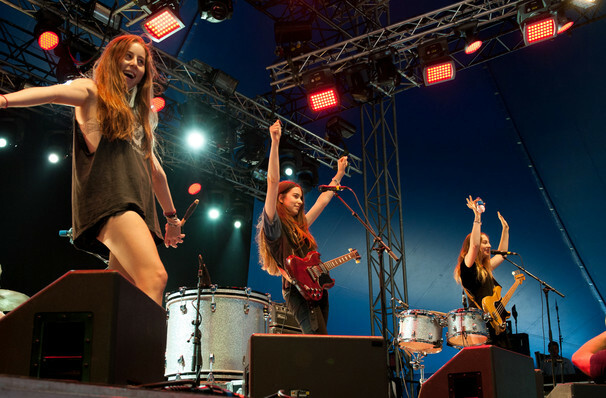 Having released their critically-acclaimed debut album Days Are Gone, in 2013, Sisters Este, Danielle and Alana Haim are hitting the road once again. This time they'll be touring again in Spring, joined on the road by Lizzo, in a tour aptly titled 'Sister Sister Sister'. They'll be playing material off their 2017 album, Something To Tell You. 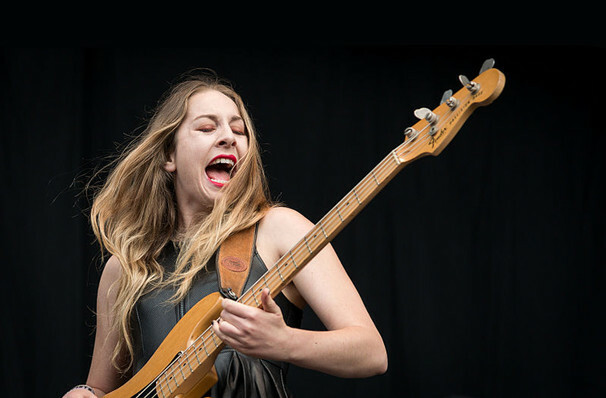 HAIM have been the focus of almost unprecedented media attention since their smash hit 2013 album; they've been honored in Rolling Stone's annual "Best of Rock" issue, named both an MTV "Artist to Watch" and VH1 "You Oughta Know" artist, and showcased as Spotify's first ever "Spotlight" artist. The creators of crowd favorites, Falling, Forever, and The Wire, Haim's Days Are Gone album was co-written with Kid Harpoon and Jessie Ware and debuted at #6 on the Billboard 200 album chart. Sound good to you? 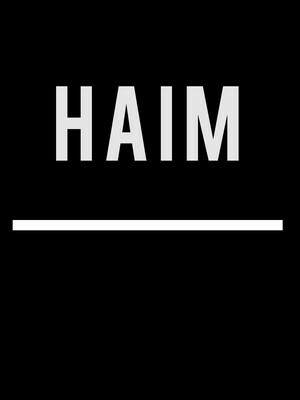 Share this page on social media and let your friends know about Haim at The Anthem. Please note: The term The Anthem and/or Haim as well as all associated graphics, logos, and/or other trademarks, tradenames or copyrights are the property of the The Anthem and/or Haim and are used herein for factual descriptive purposes only. We are in no way associated with or authorized by the The Anthem and/or Haim and neither that entity nor any of its affiliates have licensed or endorsed us to sell tickets, goods and or services in conjunction with their events.